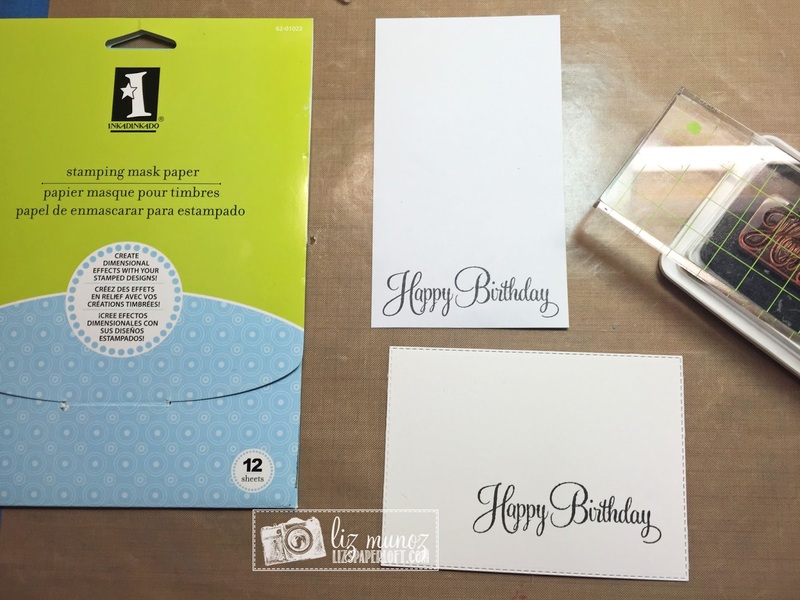 Liz's Paper Loft: MCT Tutorial Thursday ~ happy birthday! The technique I'm going to share with you is masking and no line watercoloring. First of all I wanted the sentiment to intruped the image. So I first stamped the sentiment on the die cut rectangle and masking paper. Then I cut out the sentiment on the masking paper. Next I placed the sentiment mask over the stamped sentiment. 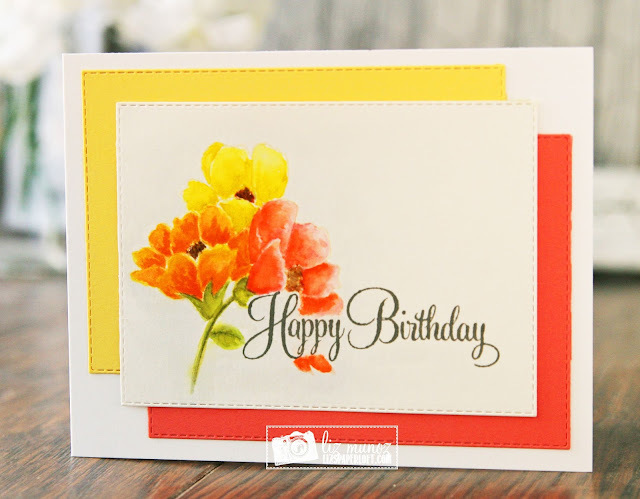 Once I determined which flower is the front flower, that will be the first flower stamped. I stamped the flower over the sentiment masking, also stamping same flower on masking paper. 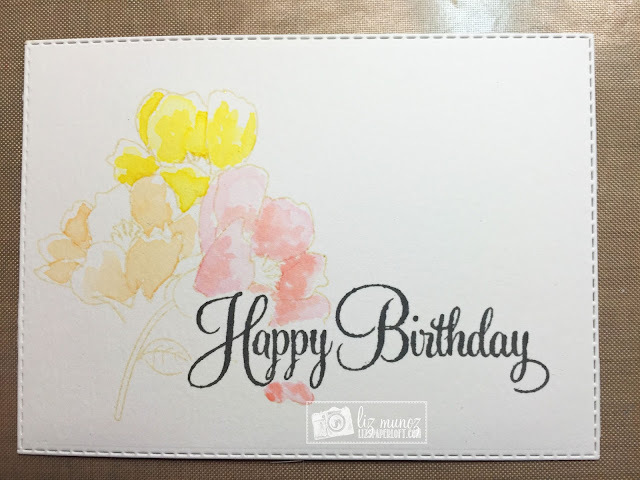 I used Distress Ink in a very light color so I could barely see it. 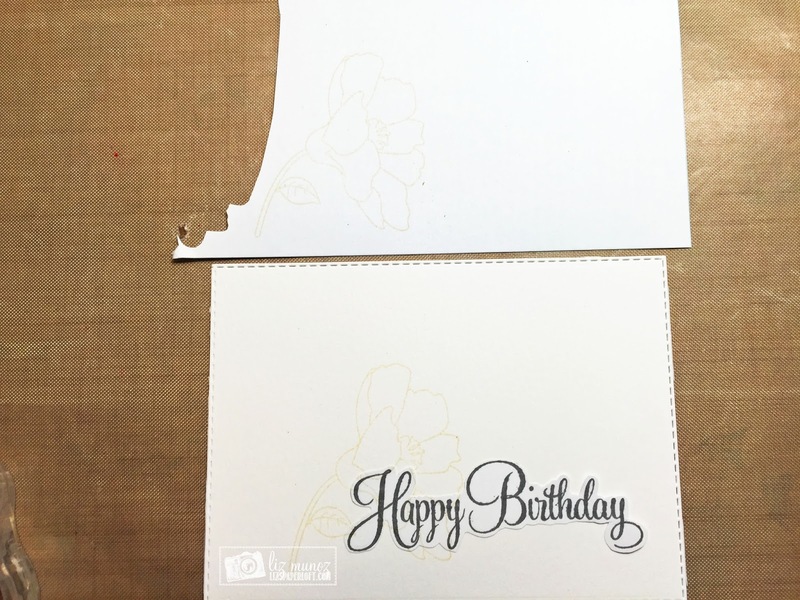 After I cut out the flower from the masking paper I placed over the stamped flower on the rectangle. Then I chose which flower would be behind the front flower and stamped it. 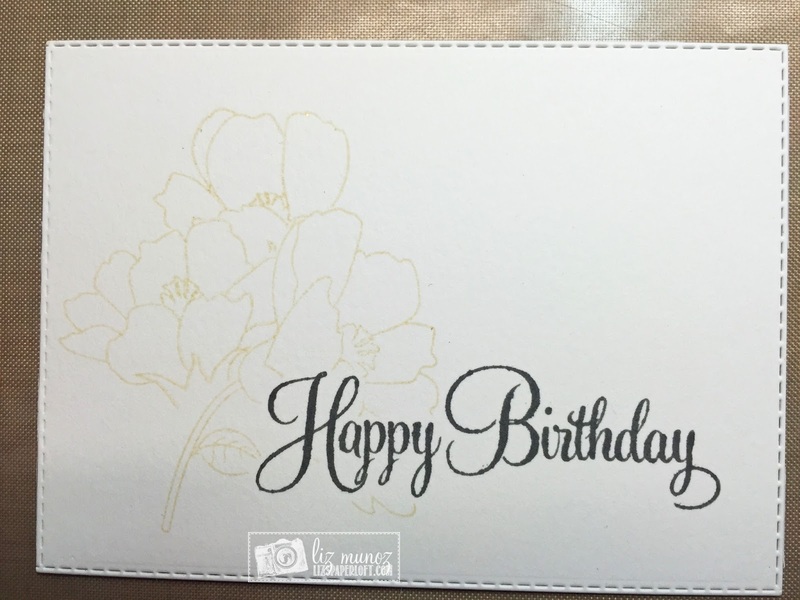 I repeated the same process as the sentiment and the flower image for the existing flowers. 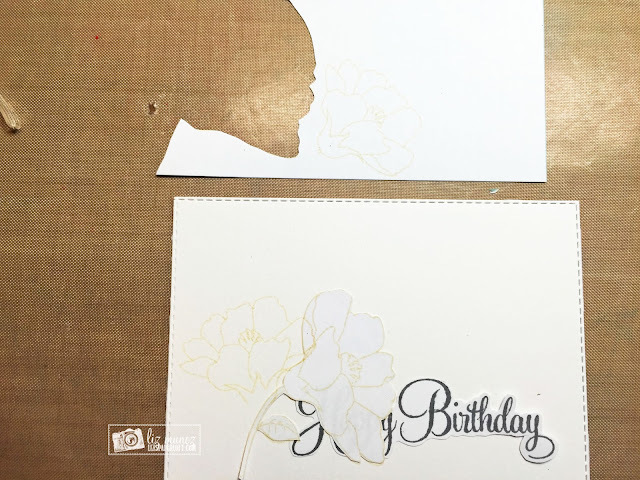 Once all the stamping was completed I was left with image of flowers behind each other. 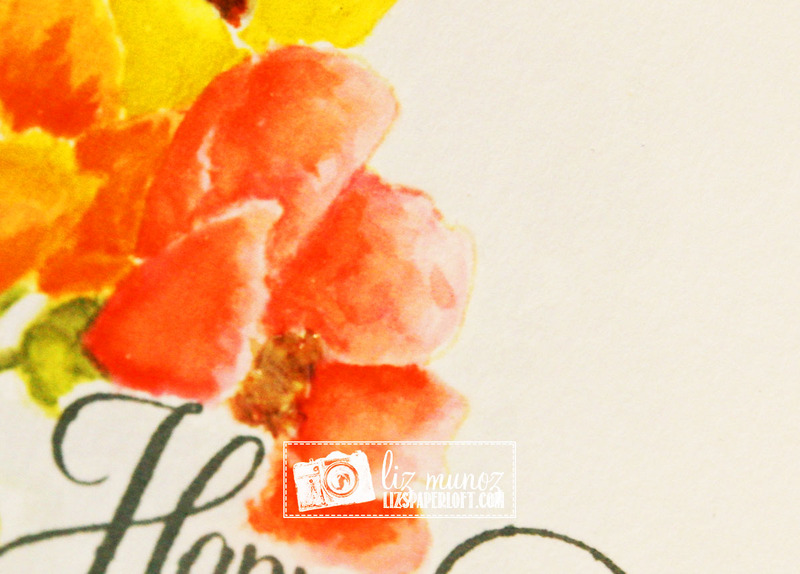 The next thing to do was choose the colors of distress inks and smooch them on my palette. With watered down ink I painted each petal individually and not next to each other until they were dry. I added another layer of paint to each petal for more depth. I made sure that each layer was dry before adding more. Oh WOW Miss Liz...First off your card is Gorgeous!! How you achieved your look is amazing...Great tutorial and you explained perfectly as I'm a visual person so all of your fabulous pictures and description definitely is understood. 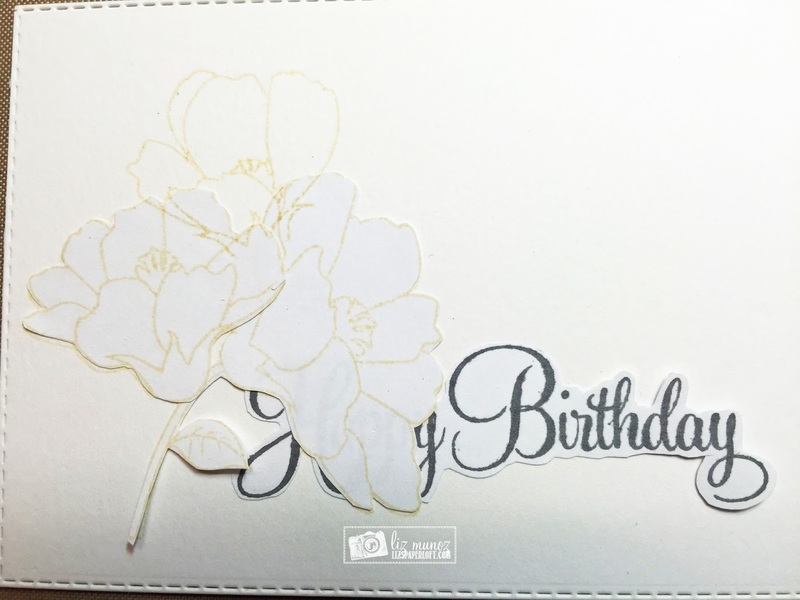 Your flowers are so beautiful!! Thanks for sharing your Masking no line watercoloring technique. 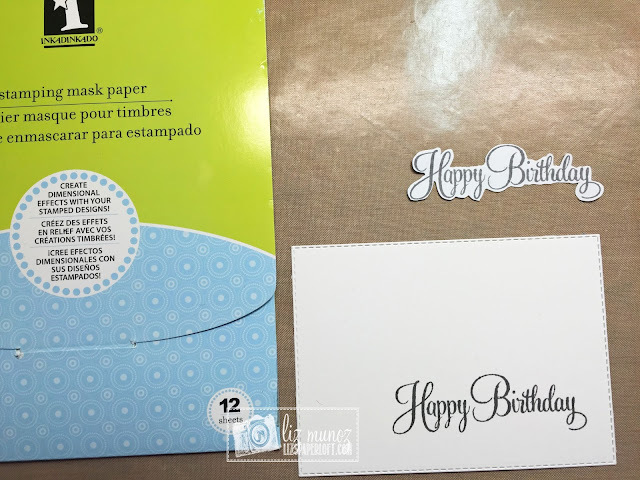 You sure did a Super Outstanding Creative job!! YOU so ROCK!! Absolutely beautiful! 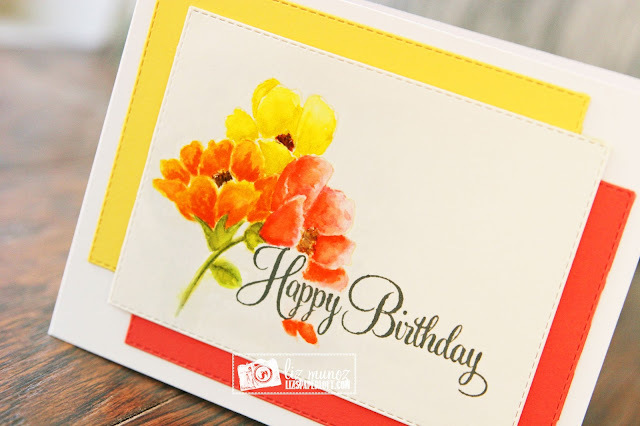 So eye catching and cheerful! Thanks for sharing your inspiration and talent with us! 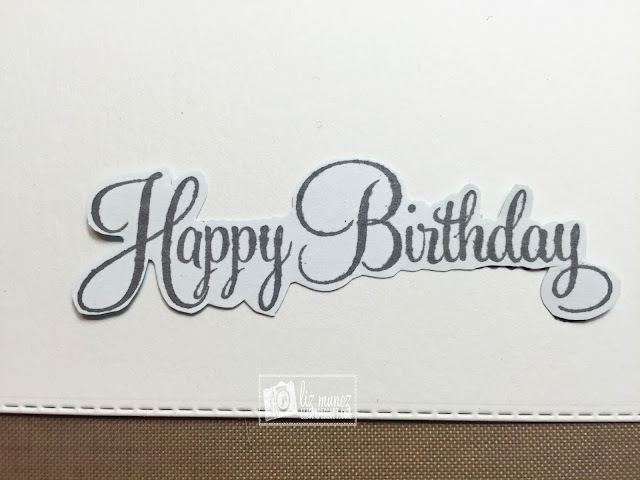 Your card is beautiful and the tutorial is wonderful and easy to see and understand! Great job. Absolutely gorgeous! You did a wonderful job. What an AWESOME tutorial Liz! !